Barbecue pork steaks with apple and garlic. 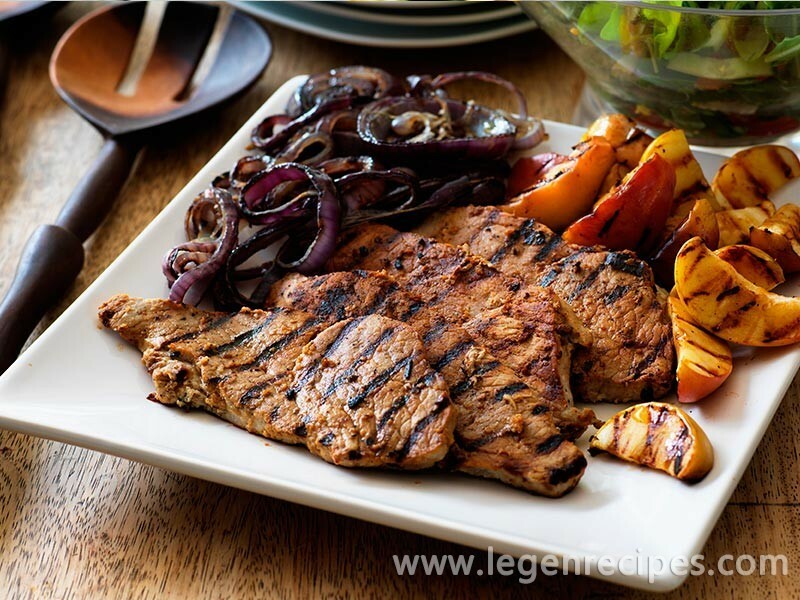 Lean pork steaks marinated in garlic and lemon and cooked with apple and red onion. These can be barbecued, cooked in a griddle pan, or grilled. 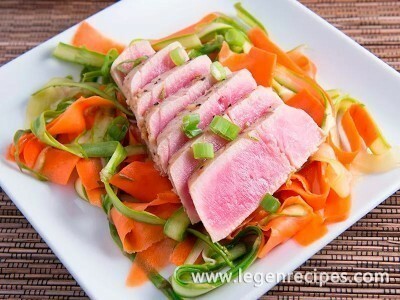 Add the pork, garlic, lemon juice and pepper to a food bag, seal then mix well. Add the pork and mix until thoroughly coated. 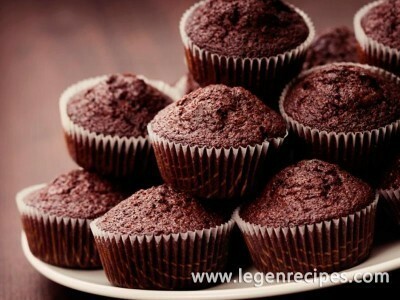 Leave in the fridge for at least 20 minutes or overnight. Cut the apples into quarters and remove the cores. Cut each quarter in half so you have 16 wedges altogether. Slice the onions into ?cm rings, leaving the skin on as this holds them together on the barbecue. Put the apples and slices of onion on the BBQ or griddle pan, use a spatula to carefully turn the onion slices. 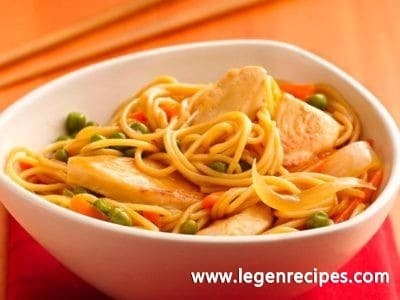 Cook for about 5-10 minutes depending on the heat of your barbecue. Once the onions are cooked, remove the skin, drizzle with balsamic vinegar and shake them up. Cook the pork steaks for 3-5 minutes on each side, depending on thickness. Cut into them to check they’re cooked through, remove from the barbecue and cover with foil. Leave to rest for 3-4 minutes, before serving with the onion and apple, plus plenty of salad.